Spring Swag Shop is OPEN! The Spring 2019 Swag Shop is OPEN! Get your gear and represent lacrosse in the Midwest! Order by Sunday - April 14 MIDNIGHT! We will open the store again but want to get this first order out ASAP. CONGRATULATIONS to the Straley Family and the Hodges Family! You are our Spring Parent Meeting drawing winners! You each have $50 to spend at the Swag Shop! 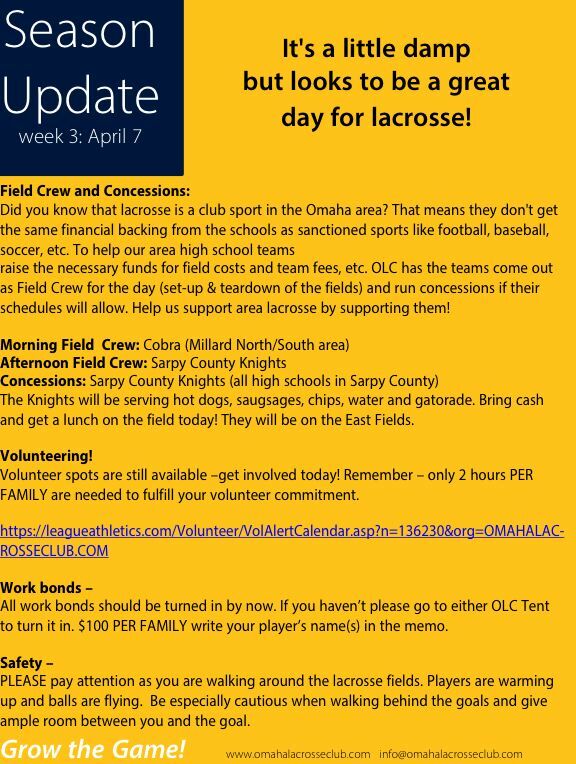 Email info@omahalacrosseclub.com for details. Click here for the shop! Grow the Game! 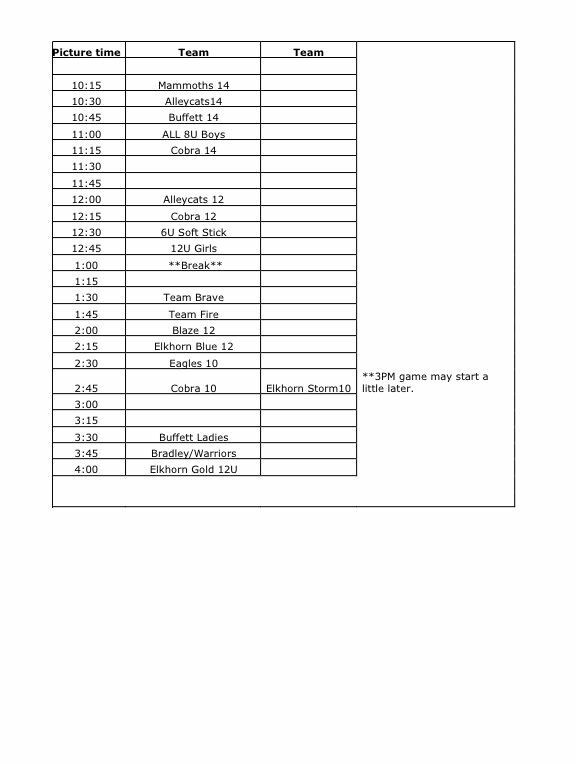 Check out the schedule for pictures. They will be taken in the Creighton Prep Gym. Enter the east side doors and take a right. Wear your gear except your helmet. Be early and be ready! Print and fill out your form and have it ready to go to save time. You can even pre-order! 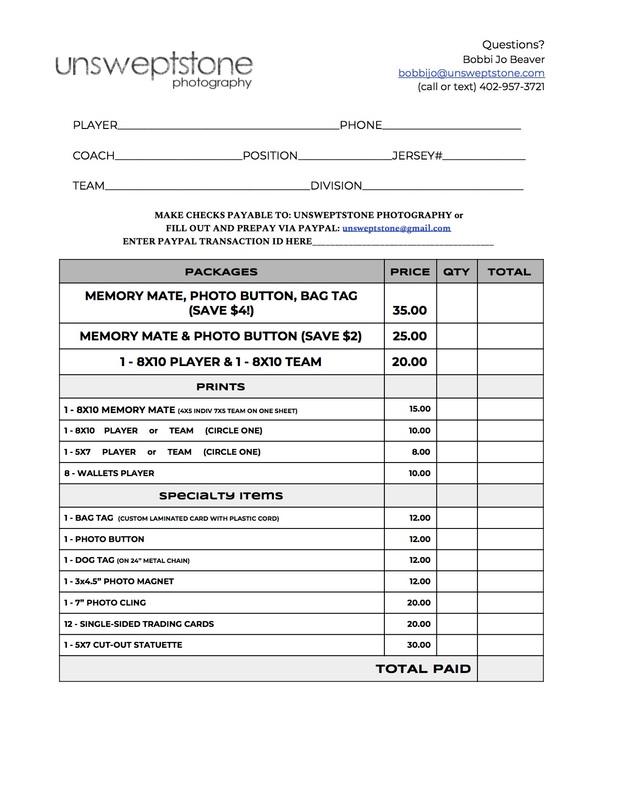 Sign up for picture day volunteer spots! Rain Make-Up: Spring Picture Day!